We try to avoid it. We say it doesn’t matter. We even claim at times that we can handle it, while other people cannot. However, the truth is that our personal lives, the influences from our childhood, and our past are dragged into our workplaces everyday. None of us are immune to our personal lives coming into the office. Even the toughest CEO when they go through a divorce, death of a loved one, or we hit a nerve in just the right way is immune from the chaos, stress and discontent. Marianne Clyde is a licensed therapist. She has been working with individuals and companies for more than two decades, and she joins us on this episode of A New Direction. 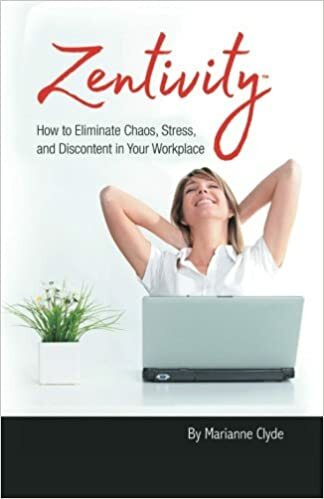 We interview her about her book Zentivity: How to Eliminate Chaos, Stress, and Discontent in Your Workplace. The book is amazing. It is insightful, powerful, and life changing. You will hear in this episode Marianne’s insight, awareness, and practical wisdom. As she goes through some of the Zentivity and we talk about the thing that inhibit us, the emotional addictions, how we can sabotage, and what it takes to get off the ground, change ourselves, and begin to change the work place. 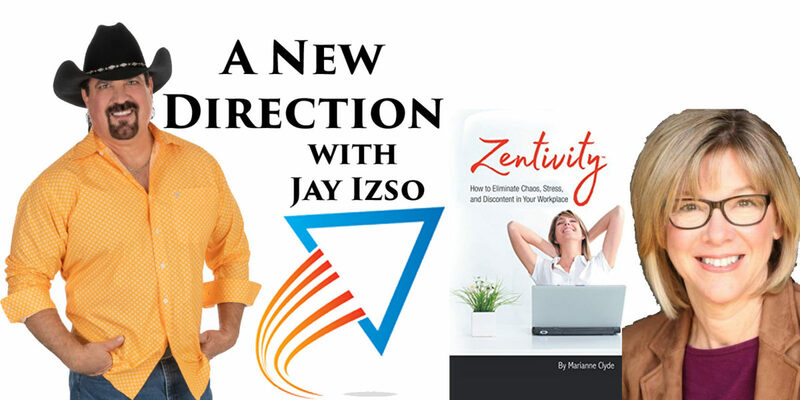 For more information on Zentivity and get your free gift go to check out the Zentivity website. From getting in touch with your creator to the power of forgiveness this show will be a game changer for your life, your career, and your business! Marianne also invites you an opportunity to join her in her endeavors to make the world a better place through the Be the Change Foundation. Take a look! We also welcome to the show a new sponsor. Linda Craft and Team, REALTORS. No matter where you live, if you are selling or buying a home or a commercial piece of property call the experts and Linda Craft and Team, REALTORS. For more than 30 years they are national leaders in real estate. They really do “Know Their Business”.